Al Dahra ACX specializes in providing a variety of North American forage and roughage products all year round. 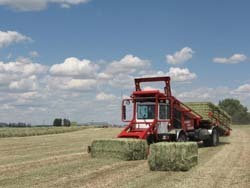 From the PNW we provide all grades of dairy alfalfa and timothy hay. 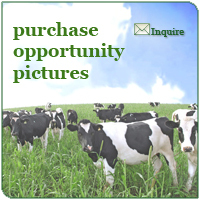 From the PMW we provide all grades of dairy alfalfa and sudangrass. 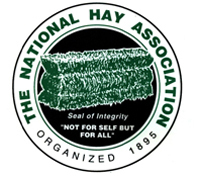 From the PSW we provide all grades of alfalfa and other grass hay products. All Al Dahra ACX facilities provide a wide variety of other grass hays and straw products according to customer specifications. With more than 35 years as a hay export industry leader, Al Dahra ACX partners with numerous family and corporate farmers to deliver the best quality, service, and pricing. Al Dahra ACX is a premier supplier of European feed products including all grades of dehydrated alfalfa and dehydrated alfalfa pellets, dehydrated ryegrass, and other feed ingredients supplied through our sister companies, Al Dahra Fagavi in Spain and Al Dahra BioAgri Trade in Italy. To supplement the vast array of forages offered through the Al Dahra global forage supply chain, Al Dahra ACX offers a wide variety of feed ingredients such as DDGS, whole cottonseed, sugarbeet pulp pellets, and soybean meal. Al Dahra ACX applies the most stringent Quality Control standards to our forage and roughage products. We are the originator of the Triple Check System where every order is subjected to a minimum of three QC inspections. These inspections test all orders for conformity to rigid standards which include a variety of physical and chemical criteria. Al Dahra ACX offers all of our customers value-added forage and roughage products at the best possible price and consistent quality over an extended delivery period.